I've been working through a book called Composing Music: A New Approach by William Russo. This book is filled with exercises and I've assigned myself the task of doing two per day. I find that I just want to keep going, though, so in the space of five days I've done 44 exercises! The third chapter deals with melodic transformation, which I decided to create my first podcast about. To listen, click on the play button below or click here to download the file. Click here to view a PDF of the music. On Wednesday night I got a call from the music supervisor in the school district I just finished working for. One of their elementary music teachers will be unable to attend her final rehearsals and performances for two different schools. He wanted to know if I could step in! Thankfully, the teacher I'm subbing for lined up a good accompanist for the job. I had one rehearsal yesterday and I will have two in each school next week. The concerts are Wednesday and Thursday. The kids responded well to me yesterday, which made me feel better about the prospect of working with that age in the coming year. Improve on my familiarity with the work of classical composers. 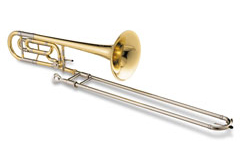 Learn the basics of playing clarinet, flute, and trombone and get some of my trumpet chops back (in preparation for becoming an instrumental music teacher). I have it all scheduled out on an Excel spreadsheet! I know...I'm a nerd, but it's got me excited about how much I can learn this Summer while I have some time off. I will probably tell you more about it as I go along. Will any of you be interested? Possibly not, but blogging about it is one way of keeping myself accountable! My temporary teaching job came to an end on Friday and I am currently looking for a new one. I have had three interviews so far and will have a fourth tomorrow. I have sent out about 30 resumes so hopefully there will be more to come! When I first started on this teaching path, I saw it as something to do while I get my composing career going. Now, however, I am beginning to look at teaching as a career that will include composing. Having said that, I am currently working on a master plan to not only improve my composing skills, but to improve my knowledge about music in general. This blog will probably focus more on my progress in this regard than on the theological debates that filled its pages in the past. I am hoping that it will help to solidify the things that I'm learning. As always, it will also be a place where my readers can ask questions, share thoughts, etc. I also want to announce that my wife, Valerie, will be starting her own blog. I will post the address as soon as she's up and running! I just finished the latest assignment for the online orchestration class I've been taking. The assignment was to write something for solo trombone based on the poem If by Rudyard Kipling. This time I decided to go with a jazz sound. Keep in mind that these are "sampled" instruments. It's never quite the same as the real thing! This becomes especially apparent when working with a solo instrument like the trombone. This is my second assignment for the online orchestration class I'm taking. This piece features the oboe and is based on a poem called La Mer, by Oscar Wilde. The accompaniment is played by a standard string quartet, which is made up of two violins, a viola, and a cello. This is a piece I wrote a while ago for a movie I was working on. I just recently got my cousin, Sarah Arnold, to come over and record the violin part for me. What a big difference from the sampled violin. Thanks, Sarah! This piece was written for an online orchestration class I am taking through Alexander Publishing and V-I Control. The assignment was to write a 2 minute piece for solo flute based on High Flight, a poem by John Gillespie Magee. I made use of a technique called "fluttertongue" toward the beginning to represent the plane starting and taking off. Today was a good day for me. 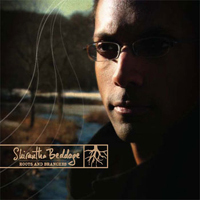 This morning I found out that my friend Shirantha Beddage had his CD, Roots and Branches, picked up by a record label. They kept all of the artwork from the insert, which features my photography. That's the cover of the CD to the left. It will be available in stores nationwide as of January 23rd. Click on the picture to go to his website. The second piece of good news was that I received my Praxis II test scores. I passed with a 172! That means I will be eligible for the alternate route teaching program in NJ. Finally, I was offered the teaching job I interviewed for last week! I will be teaching 3 sections of general music and 4 different choral groups (high school and middle school) in a nearby school district. It's a long term substitute position that starts in February.